I was twenty-three, and a junior in college — one of two mobility-impaired students on campus. The dorms we lived in were converted apartment buildings from the 1920s: two storeys, with a flight of stairs leading to the second floor right inside the door. … I never went up the stairs. So “Secret Santa” week rolls around, and our socks got tacked up to a wall in the common room, with our names above each. We each pull a name out of a hat. The name I pull belongs to someone who always went right up the stairs when she came in from class, and hardly ever came into the common lounge to hang out — I wasn’t even sure what her face looked like. My hand to the Powers, I swear I heard a voice whisper in my ear: “Get the chicken soup.” So I do. Now, I ask you: Who else But the Claus would know that?! So I am a believer forever: whether a spirit or corporeal being (or both, if the circumstances require), I believe Furry Nicholas is the Muse of Generosity — the one who inspires us to find the perfect gift for the perfect moment, even if it is our name signed on the gift tag. Io, Saturnalia! and Glad Yule! Beautiful story Ann – gave me chills. Thank you, Elaine. Gives me the chills — the happy kind — when I remember it. I guess the moral of the story (if there’s a moral to be had) is that the “true spirit of The Season is to be receptive to the Muses and spirits, and then act accordingly — rather than to just give “Things” for appearances or prestige. Yes, it’s a nice story. But my question is…why are you posting it here? It almost comes across as if you are trying to steal Ocean’s thunder and using her blog as an opportunity to piggyback your own story. Of course, Ocean (who’s real name happens to be Virginia, by the way) would be too nice of a person to say anything. Sorry Ann…but I think your story belongs on YOUR blog. Respect that this is Ocean’s space, and comments should focus on HER writing, not yours. Disagree a bit Hawk-Ocean’s writings are inspiring and it’s very cool for me to see how others read and respond to our Dear Author. Maybe a link to her own blog would have been more sophisticated, but this is kind of more organic to me. Thanks Ocean for another wonderful blog. 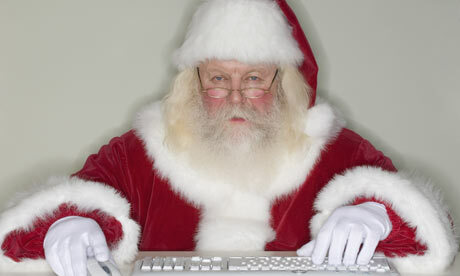 It inspired me to write a sort of pagan version of santa… Which I may post later today. Okay….I think maybe it’s time for me to make an appearance and share some of my own thoughts here – this is my blog, after all. Ann, my friend…thank you for sharing your story. It is a nice one, and it does remind us of the magick of the season. I do have to admit that I did puzzle a bit as to why it was being posted here, and I confess that there was a part of me that was feeling a bit…”overshadowed” perhaps. Hawk, my dear one…I can always count on you to look out for me, can’t I? You’ve always had a knack for being able to figure out what I might be thinking or feeling, and expressing such in a way that perhaps I couldn’t do at the time. That can be a good thing…and sometimes a not-so-good thing as well. Coyote…thank you for speaking up. You’ve offered up another view that I think is well worth considering. In these days when it seems that most people would rather (re)circulate some boring, silly meme on Facebook instead of expressing their thoughts in the commentary section of a blog, we should be thankful that anyone takes time to respond and say anything! if my writings and my words offer up a sense of peace, hope, and encouragement for a better day, then it’s a good thing. Blessings to all, and warmest wishes for a wondrous holiday season.